YES that’s right – Unlimited Boats – and update them as often as you wish! Join today and get better value from your Online Boat Classifieds! Download the Dealer Rate Card or call us on (02) 9057 8039 to set up your account. NOTE: This site is currently for businesses in Australia and New Zealand only. Yacht and Boat have recently launched their Boat Deck platform for Marine Websites. Your new website can be up and running in just days with full social media integration and SEO capability. From just $500 – why wait? Update your online presence and enjoy the scalability and ease of use that a Boat Deck marine website delivers. Are there other ways can I reach the growing Yacht and Boat community? Yes! Review our Media Centre for targeted advertising options. “Yacht and Boat” is such an easy company to deal with and such an easy web site to use! Listing boats is simple and editing them is a breeze. Each week we receive a listings report in plain English, making it easy to keep track of the activity on each of our advertisements. Since Lamoore Yacht Sales joined “Yacht and Boat” we have watched the number of listings and the number of advertisers increase steadily; hardly surprising considering the excellent level of individual service and great value compared to some of the other sites! Well done Yacht and Boat. For anybody out there wanting to advertise their boat import, retail or chandlery business, I can thoroughly recommend the Yacht and Boat website. I joined their customer list soon after the launch 18 months ago and now I use them exclusively for all on-line advertising. They are affordable, friendly and get the phone calls and emails coming in fast. My business imports and distributes Aloha Pontoon Boats and Bass Cat Boats. Yacht and Boat list my boats for sale. But they also set up a profile page for each brand to gain extra exposure. When I’ve had any new releases or promotion events, Yacht and Boat have been able to upload them onto their site’s news section. The Yacht and Boat team gives outstanding service and have responded quickly to any suggestions or requests. I am happy to recommend them. For our online media advertising, we were looking for a web platform that had the energy, capability and commitment to constantly update and reinvent according to market trends and customer feedback. Yacht and Boat have impressed us in these areas. Coupled with a dynamic management team an excellent technical team we have always been delighted by their commitment to performance and their daily enthusiasm to achieving a high target reach. The level of service that we have received from Yacht and Boat has been simply outstanding. Nothing is ever to hard for the team. Every request has been meet promptly and any new ideas and suggestions we put forward are always taken on board. It’s a pleasure to deal with you! 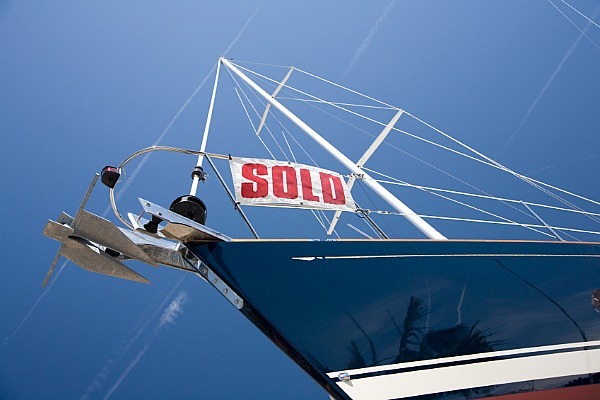 I’ve had great reports from the clients of boats that I am selling about your web site. Yacht and Boat is fast, easy to use. The helpful staff makes life a lot easier for us too! Have you had a great experience with the Yacht and Boat web site or our Team? Don’t keep it a secret – tell us about it. We’d love to hear from you!